Attendees could participate in a night writing experience in which they were photographed via long-exposure cameras while “painting” with flashlights. In an age of virtual reality and other high-tech interactive engagements, one brand is forging a consumer connection centered on scenic trail loops in the great outdoors, camping and toasting s’mores around an evening firepit. 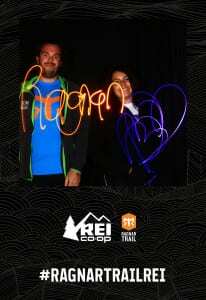 REI, the outdoor retailer and consumer co-op, which last year signed a two-year partnership agreement with the Ragnar Trail Series, reached more than 35,000 participants in 16 races that took place from April through November around the country. 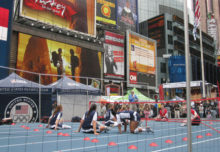 In-store events, field training programs and an on-site mobile tour were all part of the trail run and two-day camping experience. The sponsorship with Ragnar, the largest overnight trail running relay series in the U.S., will continue with 15 races in 2017. “We want to enhance peoples’ experiences, and that was one of our main purposes in sponsoring the Ragnar Trail Series,” says Stu Trusler, national events coordinator at REI. “We want to bring something that may be missing or something authentic to open up peoples’ minds to different ways of camping and how to have more fun with it.” That would include, among other things, specialty tents, shade shelters, a camp kitchen and even pink flamingos at the REI Ultimate Camp, a luxury camping set-up that was awarded as a sweepstakes prize to a team of Ragnar Trail runners. 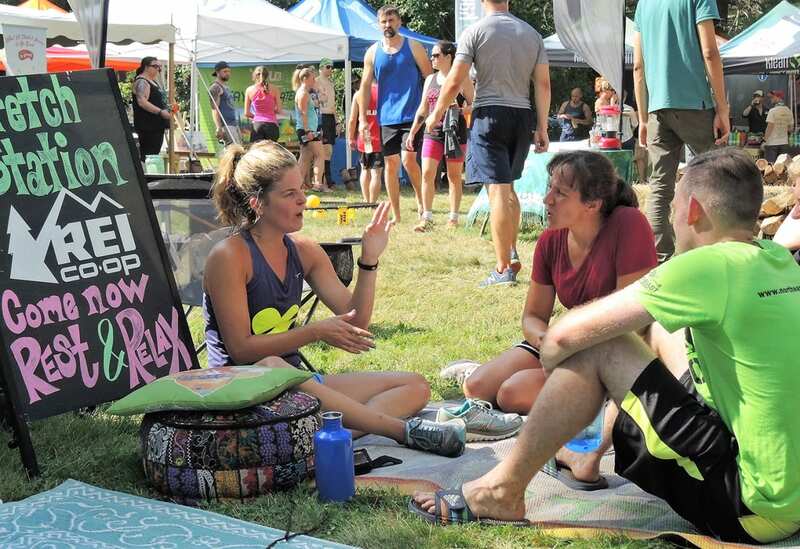 The trail runner-REI relationship begins 14 weeks before the relay in each market with a kick-off event in the local REI store where Ragnar Trail ambassadors and key vendors such as Salomon are on hand to answer questions. A 12-week training program led by REI’s outdoor school and a second in-store event targeted to registered runners leads up to the actual races. On-site a heavy-duty camper van with a custom hydraulic pop-top roof nicknamed “Thor,” after the Scandinavian god, serves as the REI hub in Ragnar Village, the trail’s base camp, a gathering spot for the race participants and their families and friends. 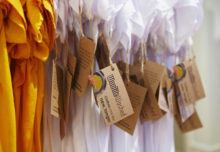 Among the activations: a hammock lounge, stretching station, a barista station and a night writing experience in which participants are photographed via long-exposure cameras while “painting” with flashlights from the rear of the van. Branded photos are shared online using the hashtag #ragnartrailrei. And, of course, let’s not forget those s’mores. Agencies: LeadDog Marketing Group, New York City; Turtle Transit, Hudson, MA (camper van).